What was thought to be a newly-identified stone circle, thousands of years old, has turned out to be a replica just a couple of decades old, following further research. Archaeologists were initially excited about the addition of another Recumbent Stone Circle to the many already identified in Aberdeenshire. But during further investigation into the site in the parish of Leochel-Cushnie it transpired that it is a replica only around 20 years old. The site was reported by the current owner of the farm on which it is located. Some unusual features were noted during its recording, including its small diameter, proportionately small stones and lack of an obvious associated cairn or kerb stones. There is however a huge amount of variation between Recumbent Stone Circles so finding these kinds of differences was not initially a major cause for concern. 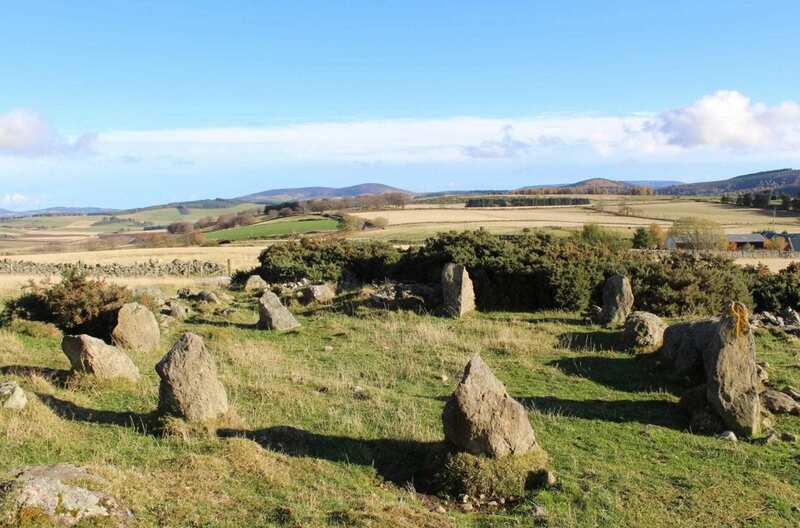 It was therefore celebrated as being an authentic Recumbent Stone Circle by Adam Welfare of Historic Environment Scotland and Aberdeenshire Council’s Archaeology Service. The hard work in archaeology does not stop with an identification, so as is normal research into the site continued. This ongoing analysis was cut short when a former owner of the farm contacted Mr Welfare to say they had built the stone circle in the mid-1990s. Archaeological knowledge is, by its nature, constantly improving and responding to new information and understanding. It is for this very reason that research continues with new discoveries revising and developing the understanding of existing finds and sites. This is an example of archaeological research being carried out in a thorough way, which has allowed for the early interpretation to be rejected. Recumbent Stone Circles were constructed around 3,500-4,500 years ago and are unique to the northeast of Scotland. Their defining feature is a large horizontal stone (the recumbent) flanked by two upright stones, usually situated between the south-east to south-west of the circle. They are well known and spread throughout the north east of Scotland, but it is rare to find a previously unrecorded one.